The Edge of Never - Lis Les Livres- Read Books! 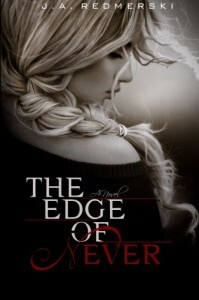 http://lisleslivres.blogspot.com/2013/01/review-edge-of-never-by-ja-redmerski.htmlFinally a new adult that is tres bon!I just couldn't sleep last night, and maybe wanting to stay up to read thisamazing book was part of it. Yes, it was 3 AM but I had to finish it!Characters:Camryn- I really liked her. 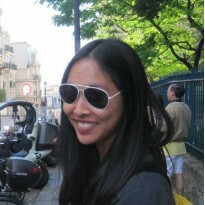 She's kind and smart, but shy and scared of gettingclose to anyone after the tragedies she's faced in the past. Yet, after spendingtime with Andrew, she starts to let her guard down and becomes more adventurousand free-spirited.What I didn't like about Camryn- For being such a smart person, she was kindadumb, not paying close enough attention to her surroundings at the bus stop orjust having too much faith that people aren't dangerous. Why would you go on aroad trip with some guy you just met?Andrew- Even though he's funny, audacious even, and playful, Andrew has hisissues too. He's deep at times, making me fall harder for this fictitiouscharacter.Whether you want to call him whipped or simply very caring, he treats Camrynlike gold, how every girl should be treated.And his physical description! A green eyed, fit, gorgeous guy who looks likeKellan Lutz according to Camryn's best friend;)What I didn't like about Andrew- There were two instances where he usedviolence. I understand the first time was out of defense, but the second? I justdon't get bar fights.His stubbornness got me so angry towards the very end if the book! What he didwas so stupid, but I do understand his reasoning.Asher- He is barely in he book, but I quite enjoyed the few moments he ismentioned. He beautiful like his brother Andrew and very kind and loving towardshis family and even a nonmember, Camryn.Plot: I'm a sucker for road trip stories. Perhaps that why I thought the firstfew chapters before Camyrn sets out on her journey are boring. Just my personalopinion, but I think they could have been cut out all together. Camryn hadenough misfortune in her life without her friend stabbing her in the back.I honestly did not see that curveball at the end coming.Overall, this is a beautiful, beautiful story about finding love,forgiveness and enjoying life.Writing: Ms. Redmerski did a splendid job crafting the characterization and thechanging relationship between Camryn and Andrew. Not to mention that she wrotefunny, funny characters. I caught myself laughing out loud numerous times at thewitty banters between the main characters or the crazy things Andrew teasedabout.Cover: I just wanted to mention this because if doesnt have the typicalappearance of a new adult fiction book, where the models are pictured veryintimately together. This cover is beautiful, as it should be to match thecontent.Would I recommend it to a friend? I just said i stayed up until 3 to finish it.Of course I would!